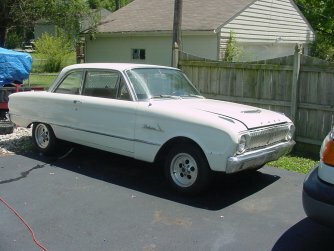 This 1962 "Bubble Top" 2dr Falcon was purchased from John Howard, President of the Ohio Valley Chapter. I traded a 1996 Mustang for this car. "The Dirty Bird" was dubbed by John, and after many conversations with him about the car, I have always referred to it as such. Hence, I kept the name "Dirty Bird". I received this car in excellent condition from John. Very solid car! 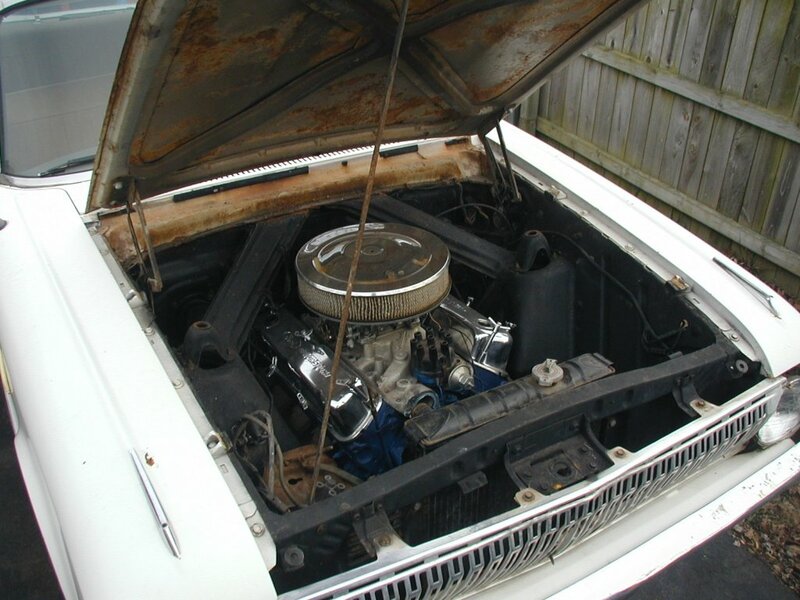 It has modifications such as T5 Transmission with S10 tailshaft, complete NEW V8 frontend and Granada spindles w/disc brakes, rear disc brakes from a 96 Explorer, and a carbureted 5.0 engine. 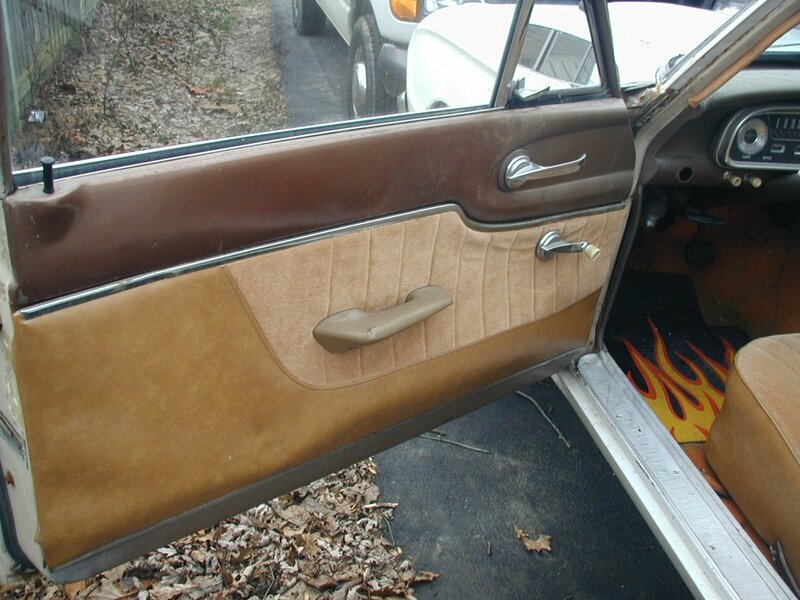 Interior had been re-done to a nice tan color at one time, so, it is in great condition as well, although door panels do need help. 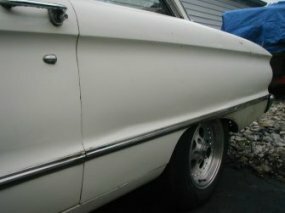 I already have replaced front & rear bumpers, tail light assemblies, and will be having the grille and headlight doors restored.The car will be Jaguar copper with weld wheels, Doug Thorley Tri-Y headers, flowmaster 40 series mufflers, with the tail pipes pointing straight down behind the rear tires. I will add more to this page as the restoration advances.